BLOOMINGTON – Few have drawn comparisons between Donald Trump and Abraham Lincoln, but as the first presidential debate approaches, a Lincoln historian said there are similarities in their style. 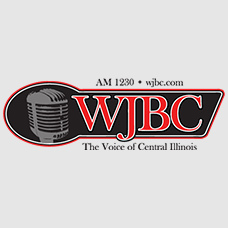 PODCAST: Listen to Scott’s interview with Fraker on WJBC. Fraker told WJBC’s Scott Laughlin Lincoln became more subdued in future debates, including those now-famous Senate debates with Stephen Douglas. Fraker said Hillary Clinton is playing much the same role Stephen Douglas played in those square-offs a century-and-a-half ago – ideology aside. “In the sense of being a person whose integrity is questioned by many people but whose very well known and has nothing to gain, I think Hillary and Douglas are very much in the same boat,” Fraker said. He added that’s why Trump has little to lose in a debate, much like Lincoln who let Douglas set their terms of their debates because he just wanted the public to see the two on the same stage. Fraker said Trump will have to look presidential for it to work for him. Fraker said the typical format for those debates in the 1860s had one candidate speaking for 90 minutes straight and today’s debates, with television and multiple moderators – offer far less substance. Fraker is author of the book ‘Lincoln’s Ladder to the Presidency: The Eighth Judicial Circuit.’ It was published in 2012.